Go See This Restaurant - Select the Link to Left "Get Name/Address." Mexican Restaurant with authentic food and full liquor license is very popular and after only one year has become a mainstay and the go to place in this growing city. Rare opportunity to be in the Downtown area of a very busy night scene. College just a few miles away and the night activity in this area is impressive! Nearby restaurants are grossing in excess of 5 million per year! This is a great opportunity. 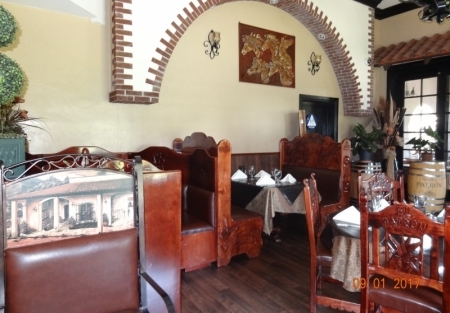 Near the historic Mission Inn, this restaurant has easy access to all the downtown activities the city has to offer. If you have been following Riverside and have seen what has been happening in this once sleepy town, you will know that the downtown area is the hot place to be. Numerous restaurants and an expanding college atmosphere has been a boom for bars and restaurants. This restaurant has plenty of room, enough for private banquets and with the holidays approaching, the place is already getting bookings for parties. Indoor seating is approx. 120 with an outdoor patio that seats apx. 45. The upstairs private banquet room has accommodated 60. Full kitchen with a walk in for keg beer. A glycol system has been installed, a costly investment as experienced owners already know. Owners are leaving the area because of the demand of other business ventures, and hate to see this restaurant go. They have been open since November 2015 and their first year in business sales far exceeded $1.4 Million. This is how popular this restaurant is. Now, you can make this your own and for an unheard of price. If you are experienced and have strong management skills and understand the restaurant business, this could be your very own gold mine. Do not wait, this is not going to last.